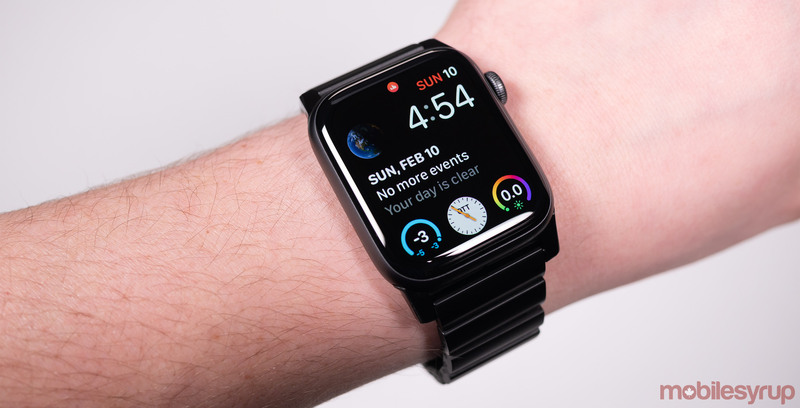 A quick search on digital retail platforms like Amazon and eBay reveals countless Apple Watch bands from various, often dubious-looking manufacturers. While some of these third-party straps are of decent quality, many of them are downright terrible bands. 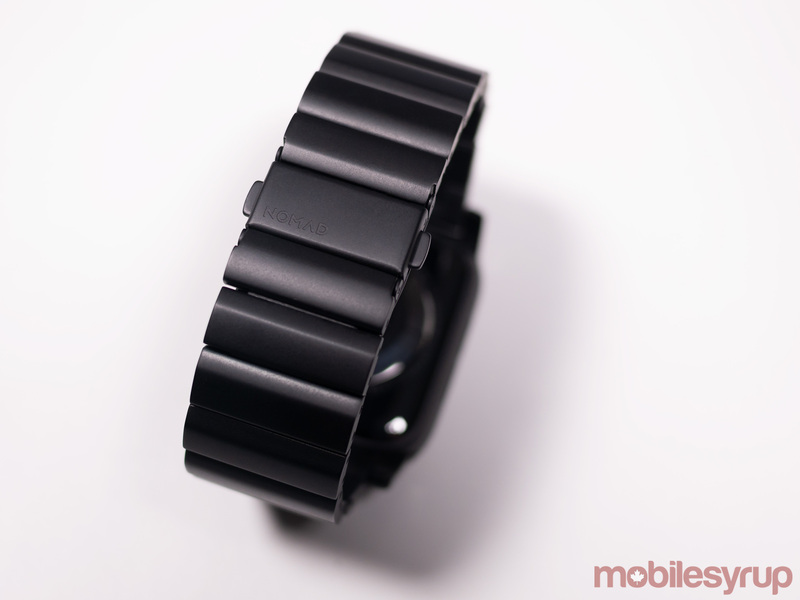 Thankfully, accessory maker Nomad’s Apple Watch Bands break this trend. Though Nomad already offers a variety of leather Apple Watch straps and has done so for a few years now, these new ‘Titanium Bands’ are the first from the company made of metal. Both the black and silver titanium bands feel like quality watch straps in terms their design, weight and overall feel. Further, the pair of straps come in 42mm and 44mm variants, which means they’ll fit either version of Apple’s smartwatch. Although a titanium band isn’t the type of watch strap I’d typically purchase, I’m surprised at how comfortable it is to wear. Usually, metal watch bands are weighty and cumbersome, but this isn’t the case with Nomad’s new straps. I’d even go so far as to say that Nomad’s titanium band feels nearly identical to Apple’s expensive $469 ‘Silver Link Bracelet’ or ‘$619 Space Black Link Bracelet’ Apple Watch Band. That said, if you usually use a Sport Band with the Apple Watch, you’ll definitely find Nomad’s titanium bands to be more weighty. 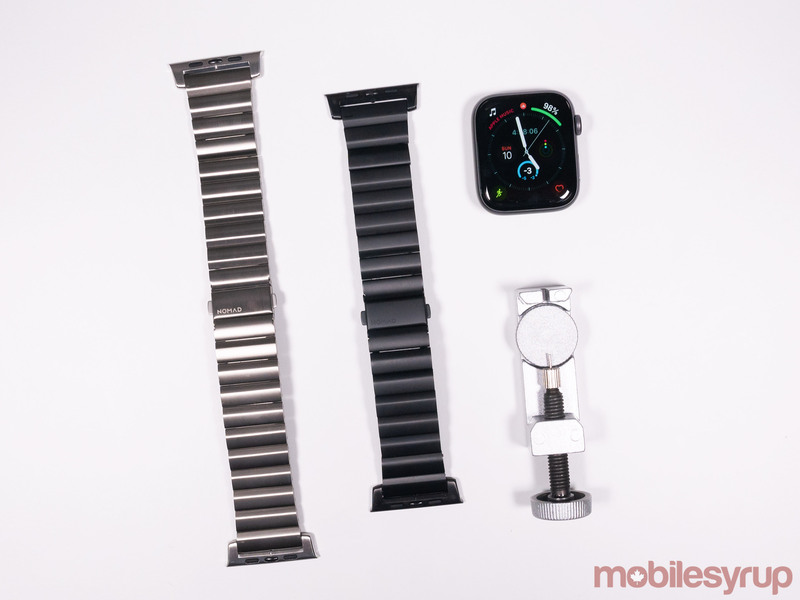 However, this is where the new Nomad straps’ most significant issue comes into play: both the ‘Black Titanium’ and Silver Titanium’ bands cost $249.95 CAD, a price tag way above what other third-party Apple Watch strap makers typically charge. 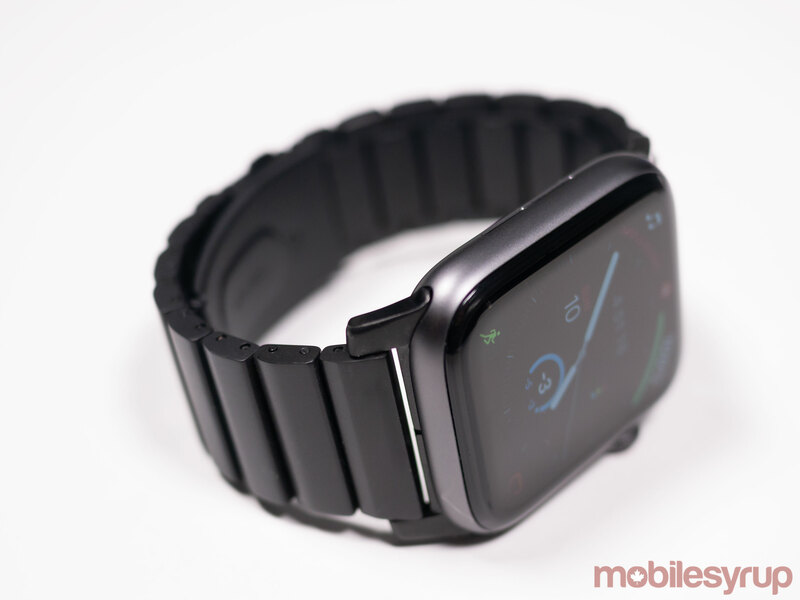 Which this in mind though, Nomad’s third-party Titanium straps are still cheaper than Apple’s $469 Link Bracelets. Beyond the expensive price tag, the other issue I ran into with Nomad’s new metal straps is the process required to adjust the strap’s size. I have rather thin wrists, and as a result, I needed to remove a number of links from the band before it fit properly. The included link removal tool is relatively easy to use, but it did take me quite some time to get the link connectors to remove properly. They can only be slide out from only one side of the strap. If you try to pop them out from the opposite side of the band, they get stuck. Nomad has a pretty comprehensive guide available on its website that I wish I took a look at before attempting to remove the links. It’s also important to attach both sides of the strap simultaneously, unlike other Apple Watch straps. If you don’t, you’ll run the risk of damaging the portion of the Apple Watch where you attach the strap. This happened to me when I attempted to connect both sides of the strap individually to my Apple Watch Series 4, though the minor scratch is barely noticeable and is present inside the attachment slot. Overall Nomad’s titanium straps are a decent, more affordable alternative to the Apple Watch’s official Link Bracelet.